Three Great Golf Experiences Await. Blessed with latitudes that provide golfers with an extra 3-4 weeks of playing season, the Windsor area features great golf, abundant wineries and lots of wonderful apres. 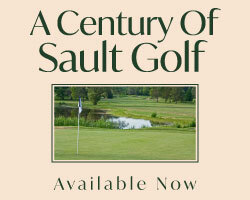 New this year, “Ontario’s Southern Swing,” presents three unique experiences for a terrific golfing get-away at the western end of the 401. Kingsville Golf Club: A short drive from Kingsville’s quaint, charming downtown, this Lake Erie wine town’s golf experience has to be on anyone's to do list. With roots dating back to 1925, this 27-hole facility is a beautiful combination of things mature and contemporary, yet still has that yesteryear feel to it. The original 18 holes, the Red and White nines, date back to the beginnings of the club and features stately tree-lined fairways, small heavily sloped greens and demands deft shot making. Those who appreciate old-school design will enjoy having to move the ball into the correct placement for approach to these severe green sites. The short holes are quite a collection. Holes 3, 7 and 12 all have small greens well protected by slope, mounds and fall-offs. Both nines finish with lengthy par 3’s playing down into a valley below the clubhouse. These holes alone are worth the green fee. The Gold nine, a 1978 Robert and David Moote design, features a more varied canvas. Stark elevation changes, island fairways with crossing creeks and dense woodlands present a feel unique in the area. This series of holes features larger more contemporary greens and a feel of a bit more room for the errant shot. However, distance control is essential with the elevation changes and heavily treed doglegs. Blessed with a gorgeous river valley cutting through the fairway, signature number 7 is a risk-reward hole that gives you a million ways to play. Home to many Ontario amateur champions and host to a variety of GAO tournaments, Kingsville Golf Club beckons to be experienced. 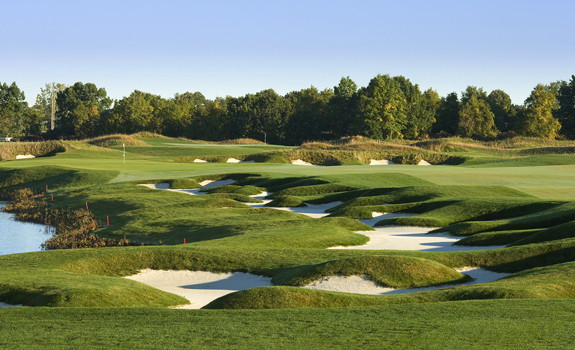 Ambassador Golf Club: Windsor's most recognized name for premier, public fee golf, this Tom McBroom design is built on a former sand quarry and opened for play in 2005. Highly acclaimed, this superbly conditioned layout has been host to a variety of events, including a stop on the Canadian Tour. This year they are proud to host a Canadian Women's Tour event as well as the Ontario Junior Boys Amateur Championship. The routing is relatively flat and at the mercy of the elements with few trees to protect against the winds. The yardages, 5338 to 7033, play true to the card with little elevation change. Featuring creative dog legs around ponds with a terrific mix of risk and reward, both high and low cappers can enjoy the strategic elements of the course. The third hole is a strategic Par 5 playing left to right. The second and approach shots must contend with water all the way to the green on the left. The fourth hole is a short par 4 that plays over water to a partially blind landing area. Hole number 6 is a pure beast playing as an uphill 489 yard par 4. The back nine opens with 3 stout par 4’s all over 440 yards and features a series of three holes 13-15 that surround a large pond, the last being a drivable par 4 for those with enough gumption to take the chance. Ambassador Golf Club is a must play for its championship caliber design and great service. Roseland Golf and Curling Club: Canada can boast of only a handful of Donald Ross designs. 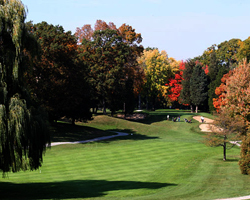 Windsor is proud to be home to a pair, the highly regarded Essex Golf & Country Club and Roseland Golf & Curling Club. 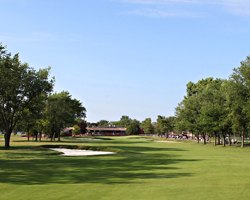 Roseland is a municipally owned treat that has recently been reopened after having 1.3 million of work done to restore bunkers in the theme of Ross' genius. The grand park-like feel, has wonderful mature, stately trees to frame the fairways and lead you to the raised plateau greens surrounded by steep faced bunkers and some wicked slopes true his design principles. Lengthened in the renovation, this 5358 to 6943 yard test plays a little longer due to the raised green sites. An easy walk, this layout puts everything in front of you with few surprises. Very playable, forgiving off the tee, Roseland is a step back in time for both design and value. For those never having the chance to experience a Donald Ross design, this layout will enlighten you to his design principles and character that are unique to his designs. Few will be able to forget the green complexes at Roseland. Designated an Ontario Heritage Site, Roseland is a remarkable journey back in time. Ontario's Southern Swing: New to the Ontario golf landscape this outstanding package of three distinctly different golf experiences put together by Windsor – Essex – Pelee Island is a perfect opportunity to get great value for your golfing dollars. 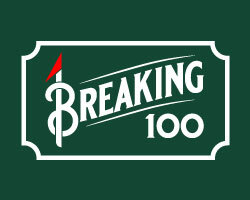 Three great courses for $150 including cart, is a remarkable deal. Combine your rounds in one of the country’s finest wine regions with a stay at one of the many fine inns, hotels, b&b’s or at the sprawling Caesars Windsor Hotel and Casino for luxury, and nightlife fun. With so many dining choices, and the chance to kick back, check out a show or try your hand at a few of the tables, Caesars Windsor is a great choice. This package is a perfect get away to share with buddies or as a family. Museums, wine tours, a day trip to Canada’s most southern point on Pelee Island, a great selection of dining experiences and a beautiful riverfront are just a few of the things to enjoy before or after your rounds. Make this a destination get away or book it as part of a trip to places south, this “Southern Swing” is a fine addition to the golf packages available in Ontario.